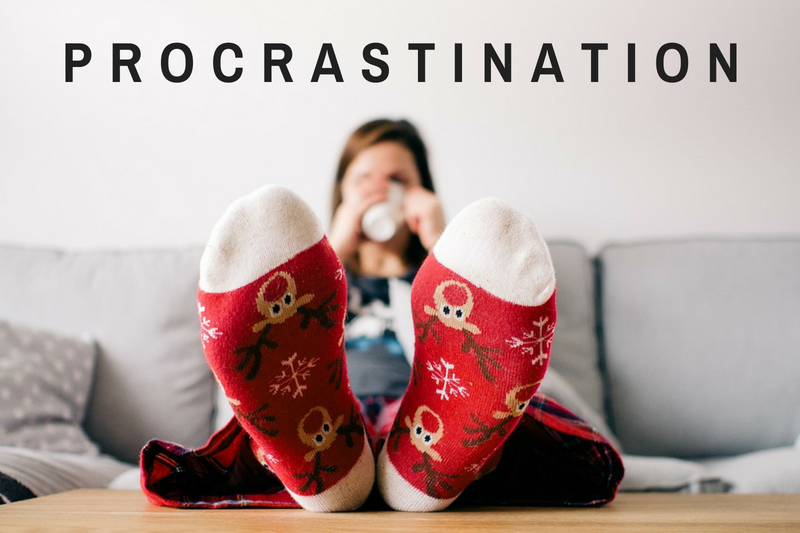 Procrastination is the act of avoiding something on purpose when you want to avoid it. This often occurs when there is a specific task you want to avoid doing because you dread doing it, whether it's because you're not very proficient at it or you're just not fond of the actions necessary to complete the task. Many people think that if they procrastinate, it will help them to avoid the task they want to avoid doing. In truth, however, procrastination will just slow you down and cause you to have to work faster and harder to accomplish the task and any associated project connected with it. When you procrastinate, you slow down your work by intentionally taking longer to do other work you find more enjoyable in an effort to avoid the work you really don't want to do. Unfortunately, this will lead to you being less proficient because you are intentionally slowing yourself down on a task that you can do much faster and still produce the same or higher-quality work as when you are procrastinating on it. In addition, it will take you longer to get to the task you are trying to avoid, and if you are not as proficient at it, it's a likelier bet that you will need longer to do that specific task instead of the more enjoyable one you are working on now. So, what can you do about it? Here are a few tricks that can help. One effective way to reduce your proneness to procrastination is to take on the easiest or most enjoyable task first. Our natural inclination is very often to handle the most difficult task first and to get it out of the way. But if you're struggling with motivation, then this is going to be a big up-hill struggle to get yourself to commit. Instead, if the first task is something easier and more fun, then you'll find you can work more easily without being distracted. And once you've done that, you should be in a slightly more work-oriented frame of mind. Procrastination often comes from one simple fact: the job you should be doing is boring. Hence you would rather be doing something else. One simple solution is to make the said task more enjoyable or interesting. This might mean turning letter stuffing into a game. Or it might mean providing yourself with a little stimulation. I will often write articles while watching videos on silent just to ensure that I have a bit of stimulation. If you're writing, then try to make the topic more interesting so that you'll be less likely to be bored. If you'e bored writing it, then it's probably not going to be great to read. Finally, note that we are much more prone to procrastination when we're tired. Why? Because will-power requires energy. When you take that energy away, it becomes much easier to be distracted or interested with other things. Give yourself more energy by sleeping better, by eating supplements that boost energy levels and by avoiding stressful events wherever possible. If you avoid procrastination and work diligently throughout the whole project, you can spend a roughly equal amount of time on each portion of the project, have optimal focus on each portion, and produce your best work for each portion of the project.